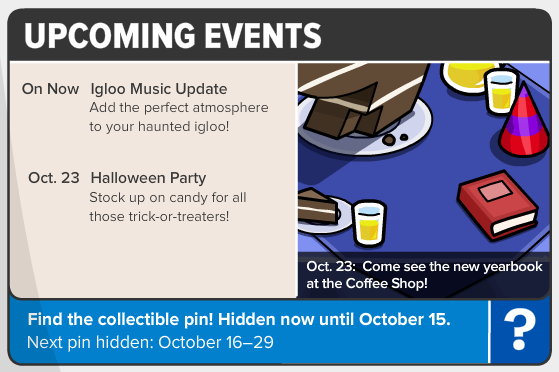 There's always a lot of things going on around the Club Penguin island at the end of the year. This month we'll be celebrating Club Penguins anniversary party as well as the Halloween party. So there you have it. 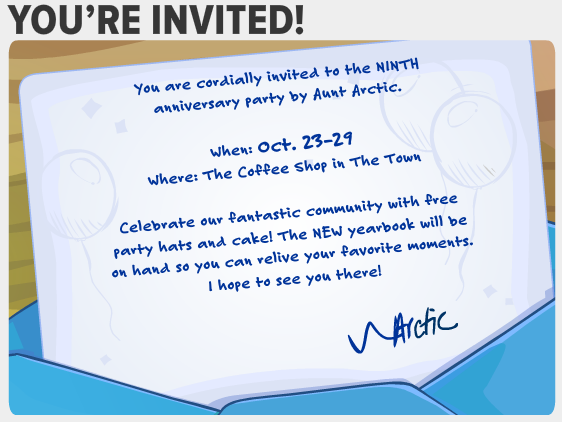 Be sure to attend the party anytime between October 23rd and October 29th at the Coffee Shop. Ever year they give out a anniversary party hat so be sure to pick yours up. 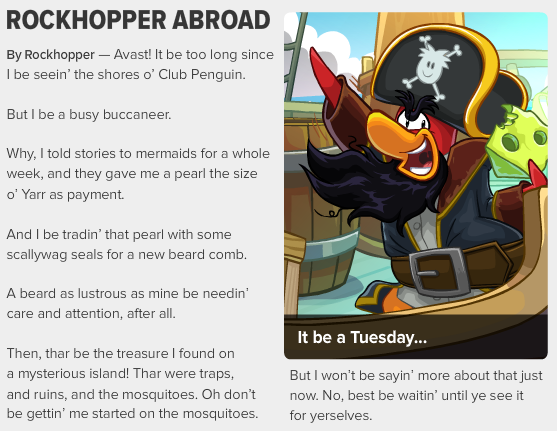 I think this means that Rockhopper will be joining us for a party very soon. I think it's for a party in November. For the upcoming events we just have the Halloween Party starting on October 23rd. You can check out the igloo music update that has already been added.